In November 2015, a SHARK team made its first trip to USMARC, which stands for the US Meat Animal Research Center. 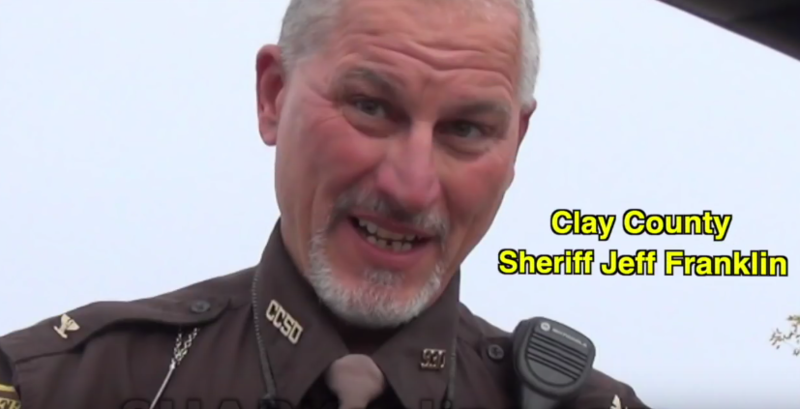 USMARC is located a few miles outside a tiny town called Clay Center, Nebraska. Given its activities and its history, USMARC wants to be well away from anything that might resemble progressive thought or common decency. USMARC’s work - or you might say crimes - were detailed in a New York Times article in early 2015. 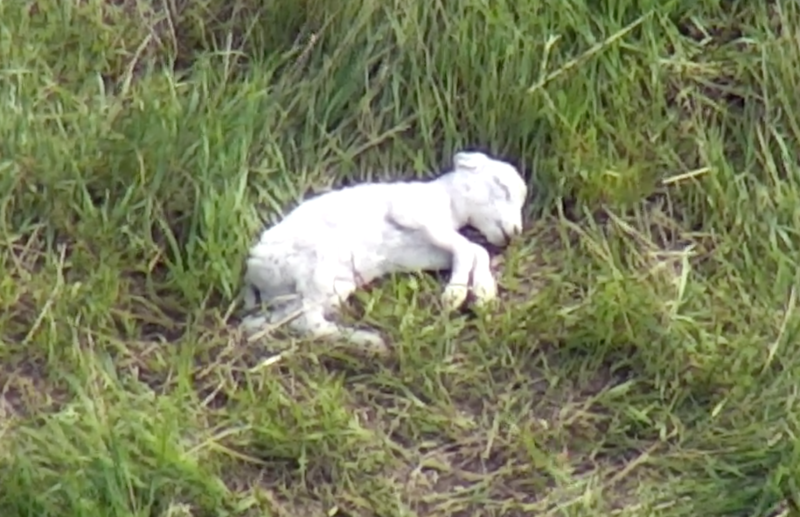 You can read the report for yourself, and you might pay special attention to the part about the lambing program, wherein lambs are left to die from abandonment, leading to exposure, starvation, predation, etc. A newborn lamb absolutely must have his/her mother for food, warmth and protection, or it will die, just like a human child. Our first trip to USMARC involved a brief flight with one of our Angel drones. We didn’t see much in the flight. What was far more indicative of USMARC's operation was the arrival of, and subsequent threats, intimidation, and general corruption of the Clay County Sheriff, Jeff Franklin. This involved not just Franklin making illegal traffic stops of SHARK vehicles, but his subsequent destruction of video from his police camera (evidence tampering) that would expose his illegal behavior. Franklin wasn’t done. Next he contacted local media, making absurd claims and insinuations of fires, destruction of property, general criminal behavior and terrorism. It was pure, absolute nonsense. We fought back with the truth, and yearned for the day that we would meet with Franklin again. In 2017, we returned during the infamous lambing season, with an improved drone. We found the sheep, but they were so far away, we still couldn’t get definitive evidence. In a YouTube video, we promised to go back the following year (this year), if we had the support to further improve our drones. Some of you responded. 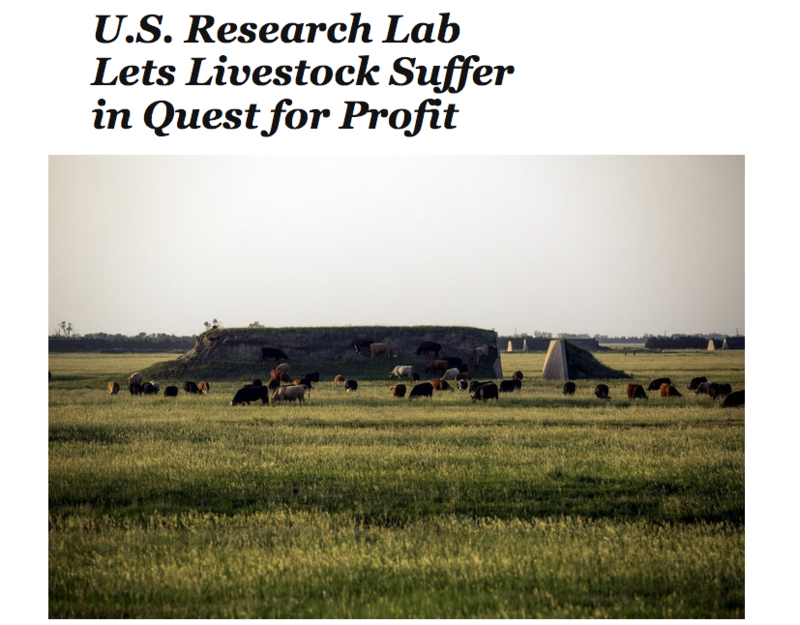 You gave us the support we needed, and this year we did indeed return, right after our operation to expose the Minnesota Horse and Hunt Club quail/pheasant slaughter, with our new and improved drones. What followed were days of bad weather in the form of high winds, storms and fog. It was frustrating, but we waited, and it finally paid off. USMARC, apparently noting our vow to return, pastured the sheep much farther off the road. Unfortunately for them, our new Angel drone, the same drone that has been doing so much damage to pigeon shoots and other targets, was equal to the task. It is an image that will haunt me for a long time. It is a combination of nature’s beauty and human cruelty. You want to believe that this picture of innocence is just peacefully sleeping, and that she wasn’t abandoned to die alone. We didn’t have days to wait for the storms and bad weather to let up, because we have other projects. There are always more projects. So we left, but hopefully, and with your support, we can take more time next year to more fully capture the horror of USMARC’s crimes against nature. I am amazed and repulsed by the organizations that pretend to be fighting USMARC's cruelty and other animal abuse with meetings and letters. The way to stop this horror is to go where it is happening. Document it - Expose it - Stop it! That is the SHARK way. That has always been the SHARK way. It is why, as small as we are, and as poor as we are, we get more done than multiple groups with literally a thousand time more resources than us. We thank those of you who make it possible for us to do the work that desperately needs to be done. On May 9, a SHARK team was back at the Minnesota Horse and Hunt Club, to document and expose a combination canned quail hunt and live pigeon shoot. Ironically, the event was claimed to be a fundraiser for a youth hunting group. Just what the world needs - more killers. This was our fifth action at this killing club, whose cowardly member’s bloodlust seems to know few bounds. If there is good news to be found in this latest trip, it is that the killers are feeling the SHARK bite. The club is losing sponsors and they are literally looking for cover. Their activities, which used to be found close to the roads surrounding the property, have now been taken to the innermost areas, far from roadside viewing. Too bad for these bloodthirsty killers that their best efforts to escape us were of no consequence for our Angel drones. The video footage shot by the Angel is going to haunt these people for a very long time. One of the surprises of the day was the number of police intimately involved in the event. There was a Captain of Operations from the Scott County Sheriff’s Department, a Bloomington SWAT team, (the club is not located in Bloomington), and an officer with the Minnesota Department of Natural Resources. 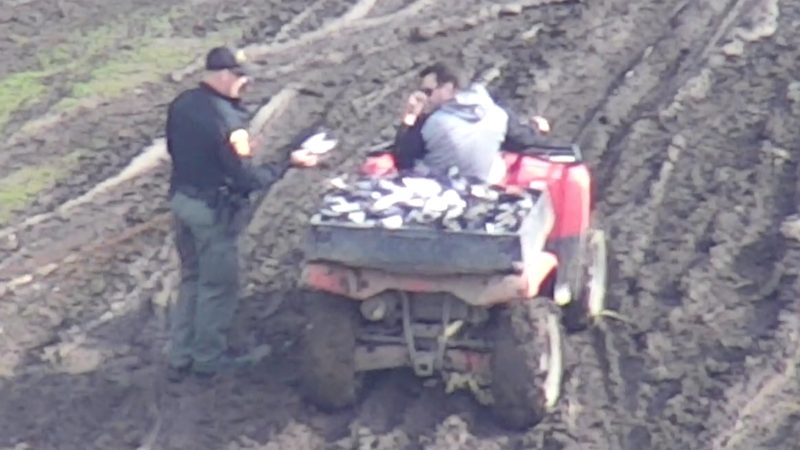 The DNR cop’s presence was particularly disturbing because he not only was intimately involved in the pigeon shoot, but he at one point ripped the wing off a pigeon to give to his dog to play with. We have weeks of investigation ahead of us to try to figure out what is going on with this place. Something is very rotten, and it isn’t just the carcasses of all the victims. We have had success with ejecting club sponsors, including a local BMW dealership, Carrier, and now NutriSource Pet Food. There are dozens of sponsors left, and some of them are very high profile. Stay tuned to hear of a lot more sponsors pulling out of the Minnesota Horse and Hunt Club in coming weeks.